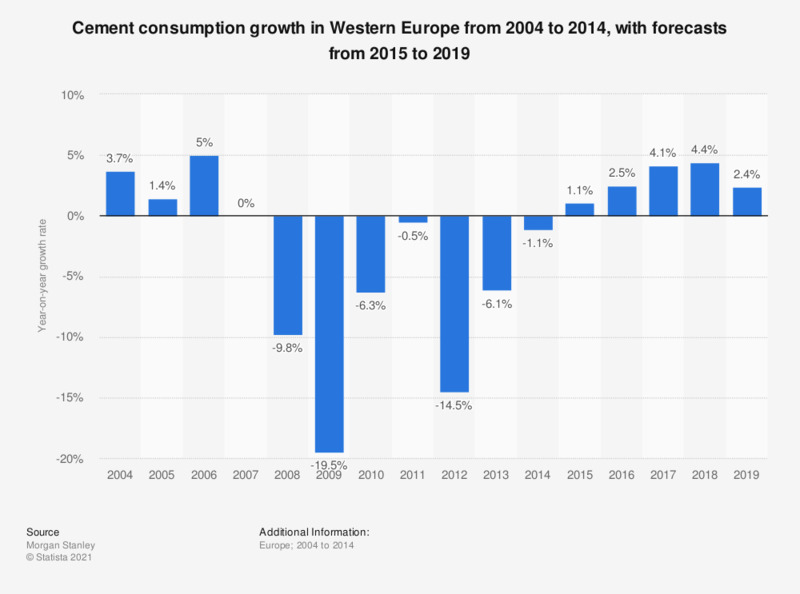 This statistic represents the cement consumption growth in Western Europe from 2004 through 2019. Western Europe is estimated to consume around 1.1 percent more cement from 2015 to 2016. Cement is an important building material. * The figures for 2014 through 2018 are estimates.